In preparation for the elections of the council on 1 June 2019 we submit to your attention the nomination list of candidates set up by the chairmanship of our society. In our selection of candidates we have tried to make allowances for the broad fields of activity within our society and its international character. So in our list you will find representatives of international Handel research and musicology in Halle, of the Editorial Board and Editorial Office of the Hallische Händel-Ausgabe, of the City of Halle, of the Handel House Foundation Halle, of related Handel societies at home and abroad, and of performers, who have presented inspiring interpretations of Handel’s works for years. At the same time members are running for the council who have played a part in the activities of the International Handel Society or are willing to do so in the future. And there are members among them who have supported as generous sponsors the Handel Society with their donations for many years. It is now up to you, dear members, to elect twenty appropriate council members out of thirty-one proposals. As a helping hand we have asked the candidates to introduce themselves ‘in word and vision’, as you can see below. We are looking forward to the Halle Handel Festival 2019 and we hope that we can welcome you all numerously and in good health on 1 June at 2 p.m. for the general meeting and the elections to the council in the Stadthaus Halle. Director of Music Programming & Facilities and Professor of Music at Pomona College in California and Director of the Pomona College Band. Bachelor’s degree from Pomona College, master’s and doctorate in music history and literature from the University of California at Berkeley. He has published extensively on the music of George Frederic Handel, especially of the Cannons period. 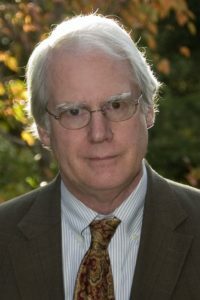 He currently serves as President of The American Handel Society and is a member of the Editorial Board of the Hallische-Händel-Ausgabe and the Council of the George Frideric Handel Society. Terence Best began his musical studies on the piano at the age of seven. He was awarded a diploma of the Royal Academy of Music in 1948, then studied French and Italian at Oxford University. 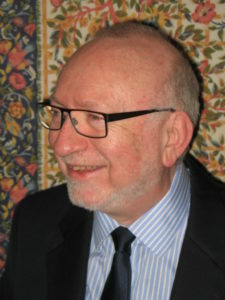 His interest in Handel prompted him to offer his services as an editor for the HHA, and since 1970 he has edited 21 volumes. 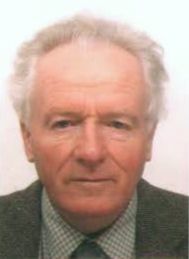 He joined the Editorial Board of the HHA, and was appointed joint Chief Editor with Professor Wolfgang Ruf in 1998. In 2003 he was awarded a honorary Ph.D. by the Martin Luther University Halle Wittenberg, and is a Vice-President of the George Frideric Handel Society. Clemens Birnbaum studied musicology and German and has worked as dramaturg at theatres and for various festivals. In 2000 he became Deputy Artistic Director and Chief Dramaturg of the Dresden Music Festival. Two years later he went to Dessau where he was appointed as General Director of the Kurt Weill Festival and Director of the Kurt Weill Centre. 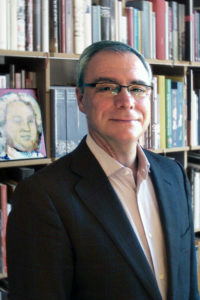 In 2009 Clemens Birnbaum became Director of the Handel House Foundation and of the Handel Festival Halle; he is a council member of the International Handel Society. Born in 1960, studied church music in Dresden, and became cantor and organist in Pesterwitz (near Dresden) and piano coach for the ballet at the theatre in Altenburg. Academic studies in musicology and literature at the Martin Luther University Halle Wittenberg, since 1999 member of the Editorial Office of the Hallische Händel-Ausgabe and editor of several volumes of the HHA, since 1999 member and since 2011 Treasurer of the Handel Society. 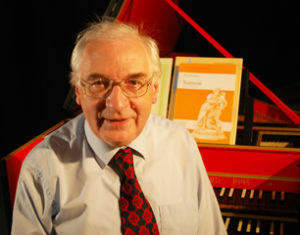 Professor of Music at The Open University, Milton Keynes (U.K.), a Vice-President of the George Frideric Handel Society, and Chairman of The Handel Institute, with a special interest in strengthening the links between Handelians in Britain, Germany and America; member of the Editorial Board of the Hallische Händel-Ausgabe since 1984, member of the Jury of the International Handel Research Prize since 2014. In 2000 he was awarded the Handel Prize from the City of Halle. His books include the Master Musicians biography of the composer, and Handel and the English Chapel Royal. Published editions (among others): the oratorios Messiah, Samson and Belshazzar, the operas Imeneo and Ariodante. Co-editor of Handel Collected Documents. 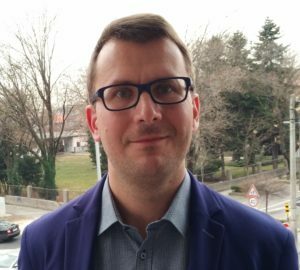 Ivan Ćurković is Assistant Professor at the University of Zagreb (Academy of Music, Musicology Department). He studied musicology, comparative literature and Hungarian studies at the University of Zagreb and he received his Ph.D. in 2017 at the Musicology Department of Heidelberg University with the dissertation The Vocal Duets of G. F. Handel and His Italian Contemporaries (1706-1724). 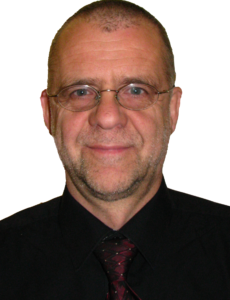 He is a native speaker of Croatian and Hungarian, fluent in English and has a very good command of German. 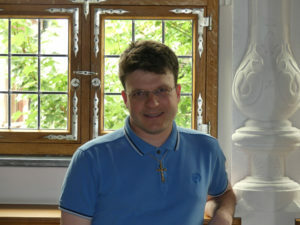 Born in Leipzig, since 2007 lecturer at the chair for the History of Music at Martin Luther University Halle-Wittenberg. Dissertation on Johann Mattheson’s operas. Research interests concentrate on urban music culture in the German speaking areas around 1700, on opera and music editions. Several opera and vocal chamber music editions of Reinhard Keiser, Georg Caspar Schürmann, Johann Hugo von Wilderer and others. 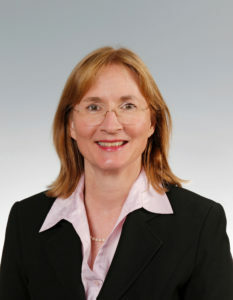 Born in 1957 in Wiesbaden. I studied musicology, civil law and Romance philology at the universities of Heidelberg and Bologna; PhD in 1998 with a dissertation on Handel’s Rodelinda. Since 1995 I have been an executive employee of the Alkor Edition, Kassel, the Department for Stage and Orchestral Music (hire material) of the music publisher Bärenreiter. Among my duties are the worldwide promotion of the Hallische Händel-Ausgabe face to face with performers and organisers, and the coordination of debut performances of recently published HHA volumes at the Halle Handel Festival. Since 2003 I have been a council member of the International Handel Society as the representative of Bärenreiter. 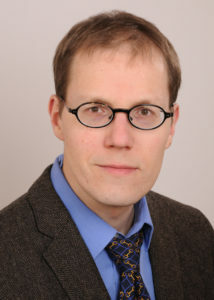 I am currently a junior professor at the Eberhard Karls Unviersität Tübingen, partly funded by the Akademie der Wissenschaften und der Literatur Mainz and assigned to the Neue Schubert-Ausgabe. In 2017 I gained my PhD from the Ruprecht-Karls-Universität and have published widely on Handel and his English contemporaries. I edit for the Hallische Händel-Ausgabe and have been a member of the Editorial Board since 2017; since 2014 I have been a council member of the Handel Institute. Born 1963 in Hannover, studied business economics in Hannover and Cologne, degreed businessman. Member of the Handel Society since 2004, constant visitor of the Halle Handel Festival since 2005, a committed sponsor of different HHA-volumes. I am a treasurer at the Friends of Cologne Opera (Cologne) and the Society of the Friends of the Beethoven Orchestra Bonn. I would like to bring my expertise and my enthusiasm for Handel’s music to the promotion of Handel in Halle and the activities of the Council. Professor of Music History at Martin Luther University Halle-Wittenberg, general editor of the Hallische Händel-Ausgabe together with Terence Best and since 2009 President of the International Handel Society, speaker of the consulting committee of the Handel House Foundation Halle. My aims: continuation of the Hallische Händel-Ausgabe, the scholarly conferences, the Handel Yearbook and the International Handel Research Prize, strengthening of the international impact of the Handel Society and increase of its attractiveness especially for younger members. 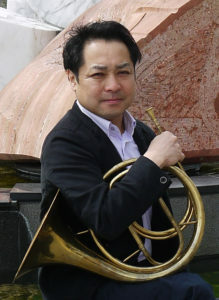 Katsuaki Ichikawa, born in Japan; studied at the Music Academy in Tokyo (French horn), doctorate at the Martin Luther University Halle-Wittenberg (musicology). 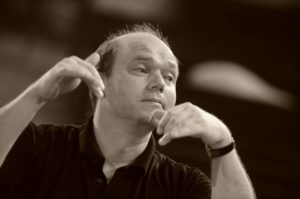 He has also performed Handel’s orchestral music and oratorios as a hornist and conductor and organized several international exchange projects focusing on Handel’s work. In 2011 Ichikawa was awarded the German-Japanese Friendship Prize in Berlin. Out of attachment to the city of Halle and enthusiasm for Handel’s work Ichikawa is now running for the Council of the International Handel Society. Hanna John, born in Quedlinburg, married, two children, studies in music education and musicology at the Martin Luther University Halle-Wittenberg with State Examination and Diploma, Ph.D., from 1979 to 2009 director of the Handel Festival at the Handel House Foundation in Halle, involved in several clubs and voluntary work, Vice-president of the International Handel Society. Originally a lutenist, Wolfgang Katschner together with Hans-Werner Apel founded the Lautten Compagney in 1984, since then the core of his multifaceted activities as a musician, promoter and scholar. For years he has succeeded as conductor of opera productions and concerts at the Halle Handel Festival. Beyond his own musical activity he is especially engaged in training young musical talents. In 2000 he received the Prize of the Dresdner Musikfestspiele and in 2004 the Handel Prize from the City of Halle. Since 2003 he has been a council member of the International Handel Society. 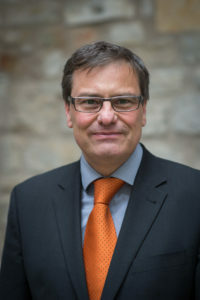 Stefan Keym is professor in music history at Leipzig University. After studies in musicology, history and German literature, he received a doctoral degree at Martin Luther University Halle-Wittenberg, did his habilitation at Leipzig University and was until recently professor in Toulouse (France). Apart from research areas in the 19th and 20th centuries he has also worked on Handel’s music, especially on the French overture, the sonatas and on cultural transfers of Italian and French opera in the Baroque. 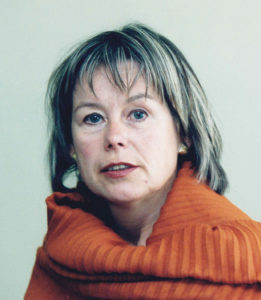 Member of the International Handel Society since 1979 and of its council since 2011, cultural historian with minor in musicology, until 2007 Head of the Department for Public Relations at the Handel House Halle; now in her eleventh year honorary associate in the Office of the International Handel Society, especially as initiator and organiser of the tours for members of our society “Auf Händels Spuren” (Following in Handel’s Footsteps). With these trips we keep in touch with Handel sites and above all like-minded people interested in Handel home and abroad. I am a musicologist and came to Halle in 1979. In May 1986 I started to work as a member of the Editorial Office of the Hallische Händel-Ausgabe, a critical collected edition of Handel’s works. I was elected as a member of the chairmanship of the International Handel Society in 2003, and since 2011 I am Academic Secretary to the Society and current editor of the Händel-Jahrbuch. In addition I organise the scholarly conference during the Handel Festival together with Dr. Konstanze Musketa. I greatly enjoy this honorary work which I would like to continue. Born in 1943; studied at the Academy of Fine Arts Dresden. In 1971 stage design Ariodante. Several stage settings for works of Handel at Halle theatre and the Goethe theatre Bad Lauchstädt. In 1983 Handel Prize of the City of Halle; member of the Handel Society. 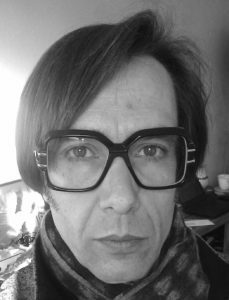 Since 1985 stage and costume designer in Leipzig, Berlin, at home and abroad. 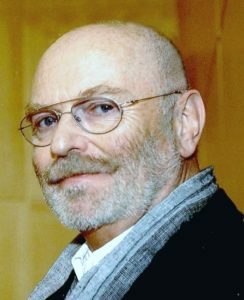 1991–2009 chief designer Halle Opera. Active as a member of the Halle Art Society, the Halle Society of Artists and within independent theatre companies. 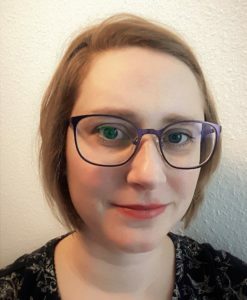 Member of the Freundes- und Förderkreis des Händelhauses zu Halle since 1994, board member since January 2019, member of the editorial staff of the Mitteilungen and initiator of the publication 90 Jahre Händel-Oper in Halle. In 2018 retrospective Meine Zeit mit Händel as an artistic credo at the Archive of the City of Halle. I would like to bring to the Council of the Handel Society that Handel’s music has strongly influenced my artistic experience. Born in Madison (Wisconsin), USA, in 1963, I grew up in Hobart, Tasmania (Australia). 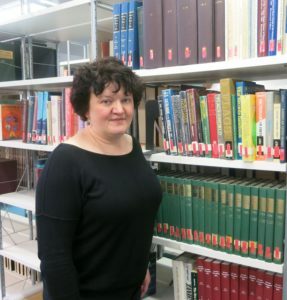 I studied German Language and Literature at the University of Tasmania and the Eberhard Karls Universität Tübingen. After completing my doctorate at the University of Tasmania, I worked in Australia, South Africa, Frankfurt (Oder), Leipzig and Meißen before being appointed to the position of Deputy Mayor for Culture and Sport in the City of Halle (Saale). I have been a member of the International George Frideric Handel Society since 2002. 67 years old, living in Meiningen (Thuringia), member of the International Handel Society since 1992, retired judge, Chairman of an influential booster club for the theatre in Meiningen. Thus I can bring along expertise and experience in association law. 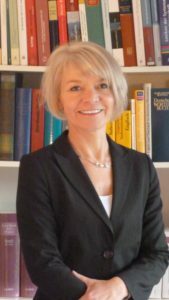 Panja Mücke did her doctor’s degree in 2000 with the dissertation Johann Adolf Hasses Opern im Kontext der Hofkultur at the University of Marburg. Postdoctoral lecturer qualification in 2008 with a study on Kurt Weill. 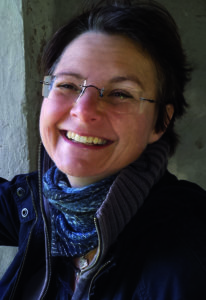 Following chairs of representation in Münster, Marburg and Bonn and a guest professorship in Vienna she has been Professor for History of Music at the University for Music and Performing Arts Mannheim since 2015. She has continuously published on Handel and is a co-editor of Händels Opern, Laaber 2009 (= Das Händel-Handbuch, Vol. 2.1 and 2.2). 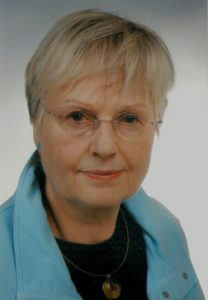 Konstanze Musketa (*1956), member of the chairmanship of the George Frideric Handel Society since 1999, up to 2011 as Academic Secretary, organizer of several study tours on Handel, musicologist, head of the department Library, Archive and Research of the Halle Handel House Foundation, working at the Handel House museum since 1980, research on Handel, Fasch and local history of music, 1995–2008 President of the International Fasch Society, Editor of Handel’s Chamber Duets in the Hallische Händel-Ausgabe (published in 2011). Born in 1963 in Kiel, studied sound engineering and musicology, PhD with a dissertation on Thomas Linley jr. (the “English Mozart”), active as sound engineer and music journalist for broadcast, recording and print. Since 1998 responsible for the study courses in music journalism at the Hochschule für Musik Karlsruhe, since 2012 Professor for “Trimediale Produktion”, since 2007 Chairman of the Händel-Gesellschaft Karlsruhe e.V. and head of the jury of the Händel-Jugendwettbewerb; published a BasisBiographie on Handel at Suhrkamp (Frankfurt 2009); council member of the International Handel Society since 2010. Since 2011 research assistant in the Editorial Office of the Halle Handel Edition. 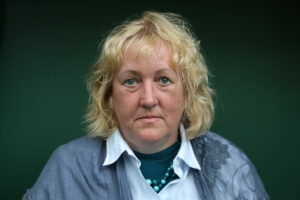 Since 2011 member of the Editorial Office and lector of the Mitteilungen des Freundes- und Förderkreises des Händel-Hauses Halle, since 2015 also member of the Board of the Freundes- und Förderkreis. 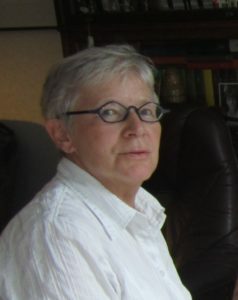 Born in 1943, studied piano at the Conservatory in Amsterdam, and musicology, library science and German literature at the University of Amsterdam, 1986–2008 Lecturer for musicology at the Faculty of Arts and Humanities of the Rijksuniversiteit Groningen; main research in the music of the eighteenth century and history of performance practice. Academic Secretary of the Stichting Händel-Renaissance Groningen, since 2003 council member of the International Handel Society and active as a lector for the Hallische Händel-Ausgabe. 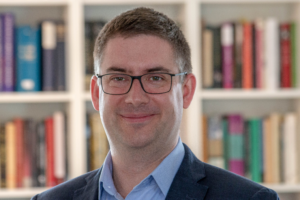 Dr. Maik Richter, born in 1982 in Wolfen, studied musicology, Italian studies and Latin philology of the middle ages and early modern ages in Halle. Master of Arts with a study on Die Hofmusik in Köthen. Von den Anfängen (um 1690) bis zum Tod Fürst Leopolds von Anhalt-Köthen (1728). From 2011 to 2015 working for the project of the Deutsche Forschungsgemeinschaft (DFG) Johann Crügers “Praxis Pietatis Melica”. Edition und Dokumentation der Werkgeschichte at the Franckesche Stiftungen Halle. In 2015 he did his doctor‘s degree with a dissertation on Lateinische Ordinariumsvertonungen im lutherischen Gottesdienst in Mitteldeutschland zwischen 1640 und 1770. 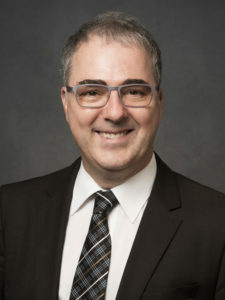 Since April 2018 director of the Heinrich-Schütz-Haus Weißenfels. 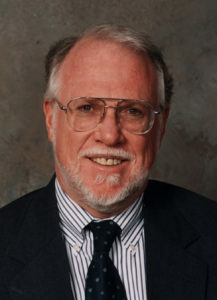 Ph.D., University of California, Berkeley, 1977, Professor Emeritus, UC Berkeley. Specializations: Handel’s borrowings, Keiser, Meyerbeer, author of many articles in Händel-Jahrbuch and elsewhere, editor of 9-volume series Handel Sources (1986), the reconstruction of Handel’s Giove in Argo performed in Halle in 2007 and 2014, recorded on Virgin Classics by Alan Curtis and Il Complesso Barocco, Editorial Board, Hallische Händel-Ausgabe since 1991, council member of the International Handel Society since 2001, President of the American Handel Society, 1994–97. 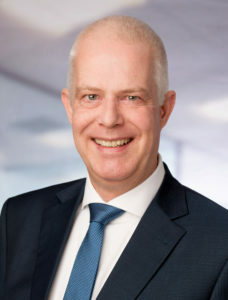 Born in Halle in 1960, single, one child; studied physics in Halle, from 1994 on I built up my own business company “AbaMediCus” in Halle with ten employees and annual sales of about 1.5 million Euros; main focus on providing I.T. support to universities and town councils. For some years support of the International Handel Society and the Halle Handel Edition with computer technology, council member since 2011. I have always been interested in the music of Handel and Bach as well as encouraging pupils and young people to musical activities. Over and above I am currently graduating at the Department of Medicine of Martin Luther University Halle (Dr. rer. medic). 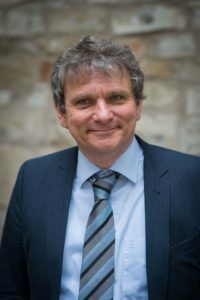 I am 50 years old and a systematic theologian; I am active as a Managing Director for the LEUCOREA, the follow-up-institution of the University of Wittenberg. My research interests are in the eighteenth century in all its philosophical, theological and aesthetic discourses, amongst other things. With regard to music I am active in different contexts, interested in music history and as a citizen of Halle familiar with Handel’s works and impact – which provides the background that has motivated my candidature for the council of the International Handel Society. 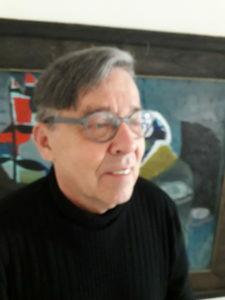 Freelance lecturer, author and publicist on music and theatre, born in Halle, long lasting activities as a music and chief dramatic adviser (engaged by Horst-Tanu Marggraf and Heinz Rückert), lecturer at the universities of Halle and Leipzig, for decades active as a council member of the International Handel Society and as chair member of different regional music associations. Publications include: Faszination Händeloper. Die legendären 1950er Jahre in Halle, Musikleben in Sachsen-Anhalt, Händel und die Händelfestspiele in Halle; received the Handel Prize from the City of Halle. * In alphabetical order according to the electoral regulations.